Take off to a more confident start! GP trainer specially designed to be easy to fly and operate! KYOSHO’s long history of beginner airplane design experience has been concentrated in this latest GP trainer, the CALMATO TR GP1400. Without being too small or too large, the 25?36 engine class is just the right size to deliver beginner control stability and the maneuverability for the progressive development of flying technique. In addition, an original semi-symmetrical airfoil has been introduced in place of the standard flat bottom airfoils typically used on beginner airplanes. The design delivers especially solid performance in wind and also sharp penetration characteristics for optimal balance and easy control. As a nearly fully pre-assembled ARF kit, the CALMATO TR GP1400 is also expertly pre-covered in quality film.  Kyosho’s comprehensive design and construction requires no gluing and includes pre-installed fuel tank, engine mount, tires, spinner and linkage parts. Only a few separate items are needed to get airborne with the conveniently priced CALMATO TR GP1400 so you can enjoy discovering the fascination of R/C airplane flight.